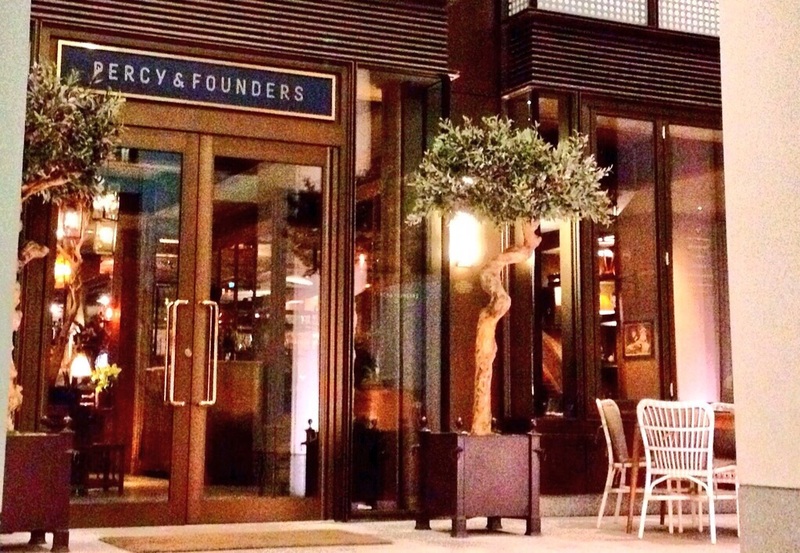 Percy and Founders, an elegant bar and restaurant, opened in the spring of 2015 and offers a contemporary British menu. Open all day, everyday, Percy & Founders serves everything from a quick morning coffee, to business lunches to a sit down dinner. It has also an eloquent bar area, and is equally ideal for evening cocktails. On weekends, Percy & Founders serves boozy brunches and Sunday roasts. Executive Chef Diego Cardoso brings with him a wealth of experience having worked a seven-year stint as the Head Chef at Angela Hartnett’s Murano. The menu is seasonally and showcases a comprehensive selection of dishes. The drinks list is also comprehensive and affordable. It includes wines from both small grower labels as well as established producers, and a variety of cocktails, mocktails, bottled craft and draft beers. In the nicer summer months, there is also an alfresco drinks area on the terrace. 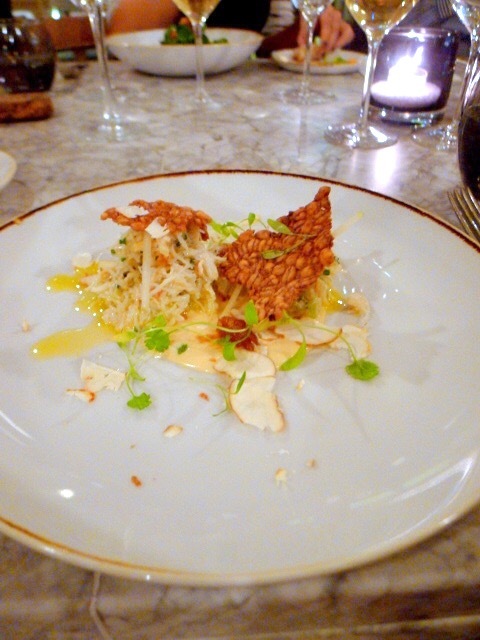 Cornish crab with brown butter mayo and ginger jam (£11.50) was a delightful starter. The crab was wonderful and sweet, and the nuttiness of the butter elevated the deliciousness of the crab. I would have liked a little more ginger jam as this was hardly noticeable, but it was nevertheless a lovely dish with a sense of refinement. 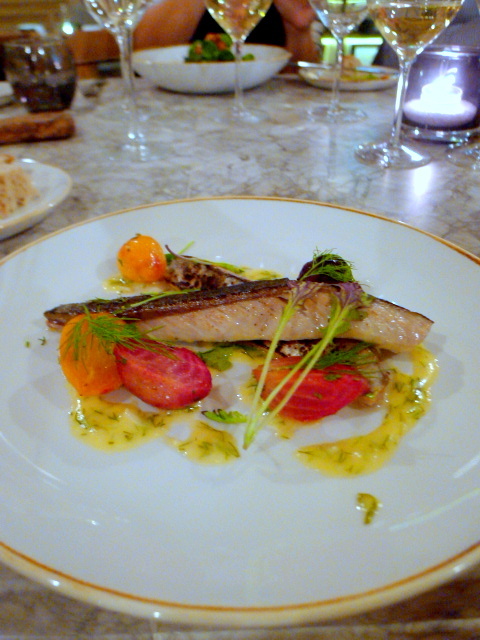 Charred mackerel with beetroot and horseradish (£9) was also another tasty plate of food. The mackerel was nicely cooked with the beetroot proving to be a lovely accompaniment. The horseradish also added a sharp contrast to the fish. 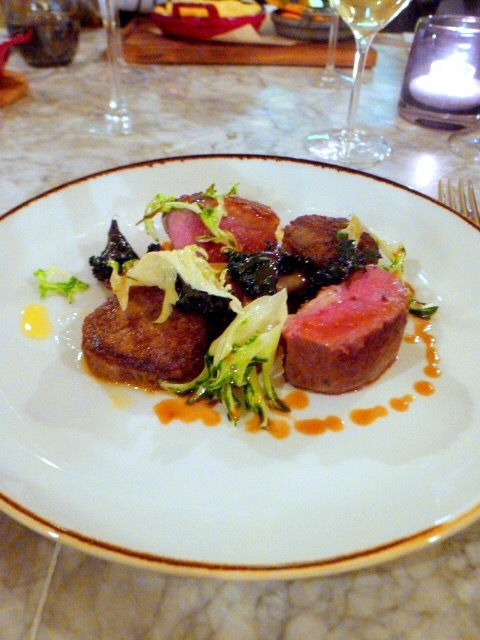 To mains – and a lamb loin and shoulder with onion purée and roasted shallots (£19) was very pleasant. The loin was tasty, but the shoulder was very salty. Both the onion purée and the shallots were tasty and completed the dish nicely. 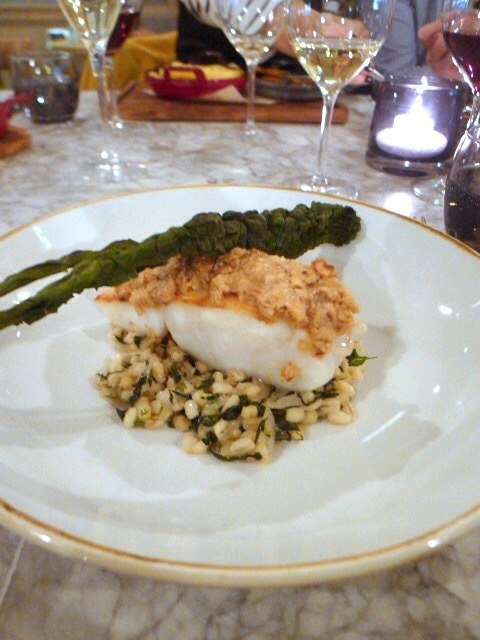 A second main of roasted cod with pearl barley, kale and hazelnuts (£18) was a disappointment. The cod was nicely cooked, but it was also extremely salty which let the dish down. Individually, the pearl barley and kale had been well prepared, but there was no sauce in the dish and with the saltiness of the fish, the over arching effect was one of dryness on the palate. The desserts were pleasant and well executed. 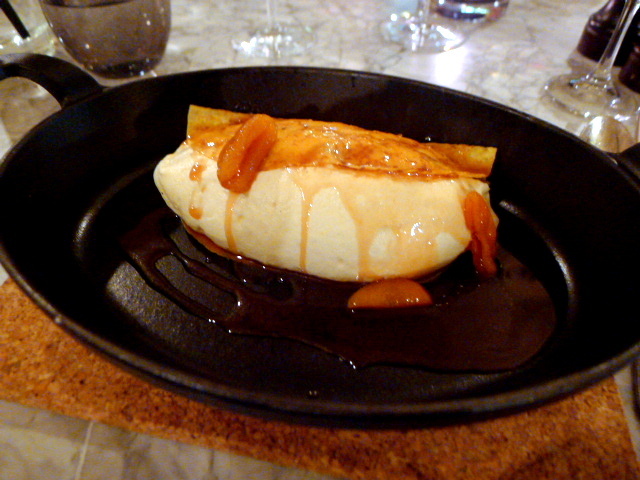 A crêpe soufflé with apricots and caramel (£7.50) resembled a big pillow of airy lightness, with a thin layer of pancake encasing a fluffy layer of meringue. This was tasty if a little sweet. 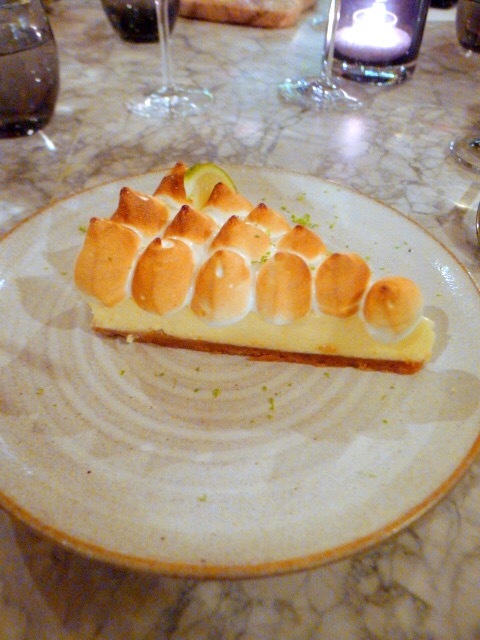 A key lime pie (£7.50) was also light and mousse-like, but I also found this a little sweet. I personally would have preferred a denser thicker texture, similar to the types that are typically served in the States. Percy & Founders proved to be a perfectly nice experience. The service was lovely and the décor was smart and atmospheric. As for the food, this was respectable with occasional flashes of refinement. I thoroughly enjoyed the starters, but lamented the poor execution of the cod dish, but in the round it was well executed. The menu was solid, filled with the type of modern British and European dishes that most could enjoy, but equally not offering great flair or originality. Percy & Founders was a perfectly nice, steady and pleasant affair. 1) The cod dish was terrible. 2) The desserts were good if a little sweet. Prices: £29 – £50 for three courses, excludes drinks and service.